ASKO’s new Pro Series kitchen range as well as its laundry appliances featured in the winning renovation design on Channel 9’s Reno Rumble show. Jess and Ayden from the Redbacks team chose ASKO Pro Series appliances for their kitchen, including the award-winning Duo Fusion and the wall mounted ASKO AirLogic rangehood. Duo Fusion is an innovative cooktop that combines induction cooking and gas to provide the flexibility of two energy sources on the same unit. 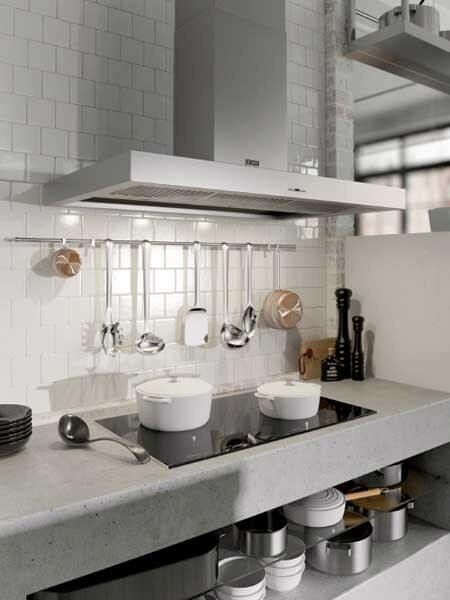 AirLogic rangehoods feature a timeless look to suit traditional as well as contemporary kitchen designs. The contestants used two Pro Series ovens (Series 5 Pyrolytic Oven and Series 5 Combi Microwave) side-by-side to create a uniform and professional look, adding a warming drawer below the microwave to conveniently transfer dishes straight from the oven or microwave to the warmer. Additionally, ASKO’s fully integrated Pro Series fridge freezer has also been added to the kitchen. Key features include 400-litre load capacity, dual refrigeration system and a convertible cooling drawer. Jess and Ayden also selected ASKO’s washer and dryer for the laundry built into the bathroom of their renovation. Perfectly designed to match, ASKO’s washers and dryers ensure a consistent look whether used side-by-side or stacked to save valuable space. Jess and Ayden chose the 7kg Logic/Classic front load washing machine and the 6.5kg condenser dryer.